The company is too small for most institutional investors, and we see limited prospects for growth. Despite the share illiquidity and stretched liquidity position on our estimates, we believe there is upside to the share price based on the continued massive discount on steel and our positive sector view. We initiate coverage of Awilco LNG with a BUY recommendation and target price of NOK 6.9 (+7%). We initiate coverage of Flex LNG with a BUY recommendation and target price of NOK 17. The company has no vessels on the water in the current trough, but four MEGI LNGC newbuildings scheduled for delivery in 2018. Given our view that the trough is finally coming to an end in 2q17 and that the expansionary phase of the cycle is imminent, we find the setup of Flex extremely attractive. 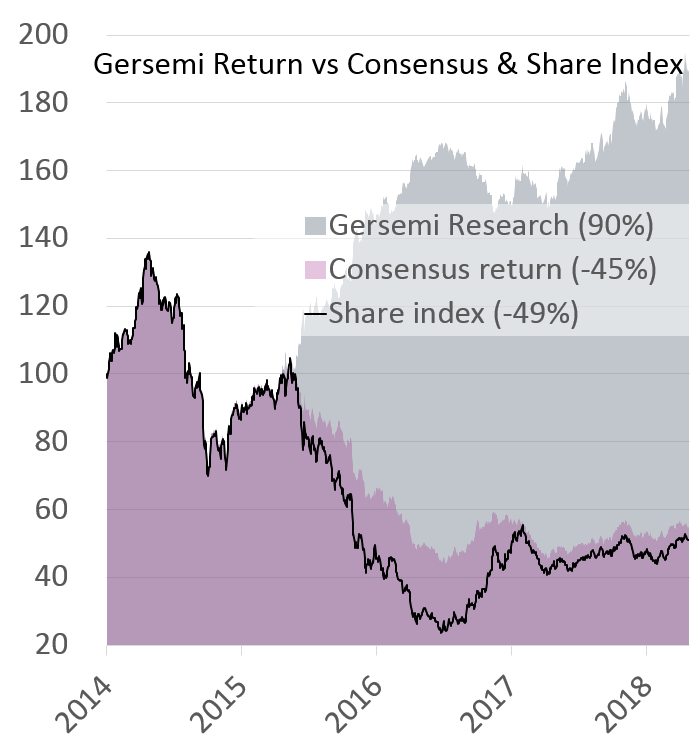 Adding the strong sponsor in Mr Fredriksen, we see additional upside from future accretive deals and positive bias from investment banker analysts.